Pamukkale in the southwestern Anatolia region of Turkey is the finest example of cascading travertine pools anywhere in the world. 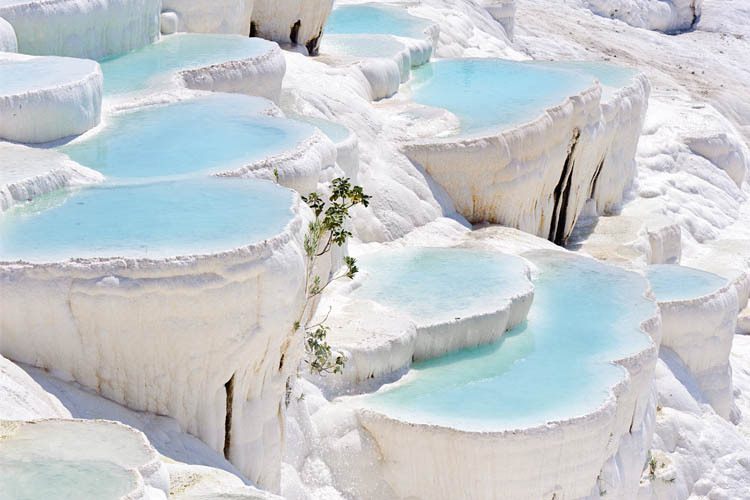 In Turkish ‘Pamukkale’, translates as “cotton castle” but was originally known as Hierapolis – the sacred city and holy pools. It consists of a series of travertine pools and waterfalls that spill down the side of the hill for hundreds of meters. It was created by the runoff water of nearby hot springs that is saturated with calcareous salts. As the flow leaves the heart of the mountain it evaporates leaving limestone deposits on the sides of the cliff creating a succession of terraced basins filled with milky blue water said to have powerful healing properties. The brilliant white terraces look like the ramparts of an ancient fortification giving rise to the more modern name – The Cotton Castle. There are 17 hot water springs producing water that flows around 320 meters to the top of the travertine terraces. As saturation levels are reached calcium carbonate is deposited as a soft jelly like substance that eventually hardens into the characteristic limestone formations. This geological wonder has taken many thousands of years to reach its current size and covers an area roughly 1km in length by 500 meters wide – although not all of this has active pools. Pamukkale was well known before the birth of Christ as the ancient spa city of Hierapolis which was built adjacent to the springs and dates back to at least 300 BC. The site was almost certainly inhabited before then and known to travelers passing through the region on journeys between Istanbul and Egypt. It was almost certainly part of the western silk route which passed directly through the Anatolia region. Hierapolis was founded in the second century BC by King Pergamon Eumenes II and flourished under the rule of the Romans and Byzantines. In recent years this geological wonder was threatened by nearby hotels and resorts that had intercepted the water flow to use in their swimming pools. Fortunately, the site has been designated a World Heritage site by UNESCO and an environmental protection program put into place. For example, a few years ago visitors were able to walk and swim anywhere now this is restricted to trails and special areas. Visitors now also have to remove their shoes before walking on the fragile limestone. 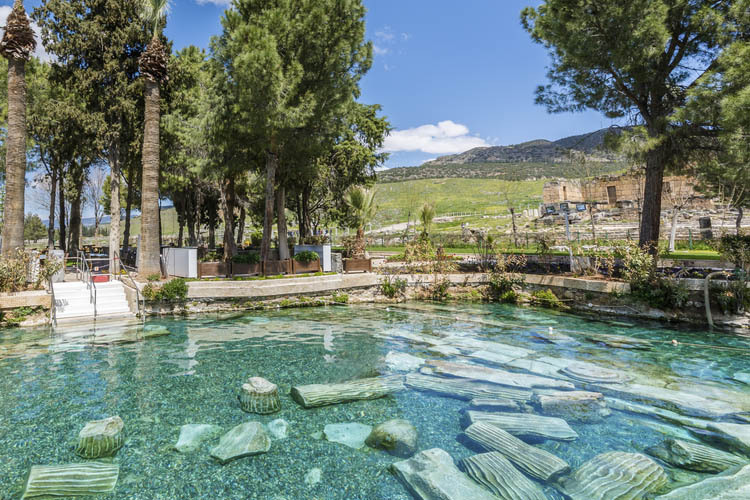 The ruins of a nearby sacred fountain (The Antique Pool) have been transformed into a bathing area and visitors are welcome to swim in the 37 ° C water surrounded by ancient columns and Byzantine architecture. 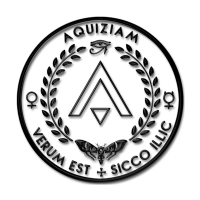 There is a small admission fee to access these healing waters – of course. 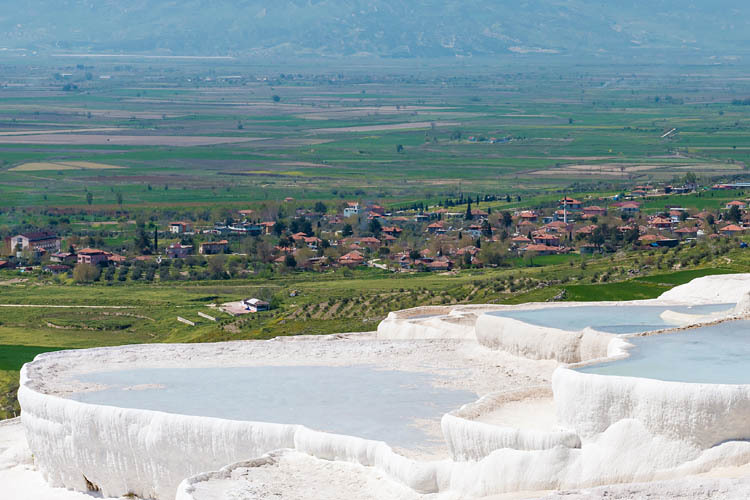 With around two million visitors annually Pamukkale is Turkey’s single most visited attraction.